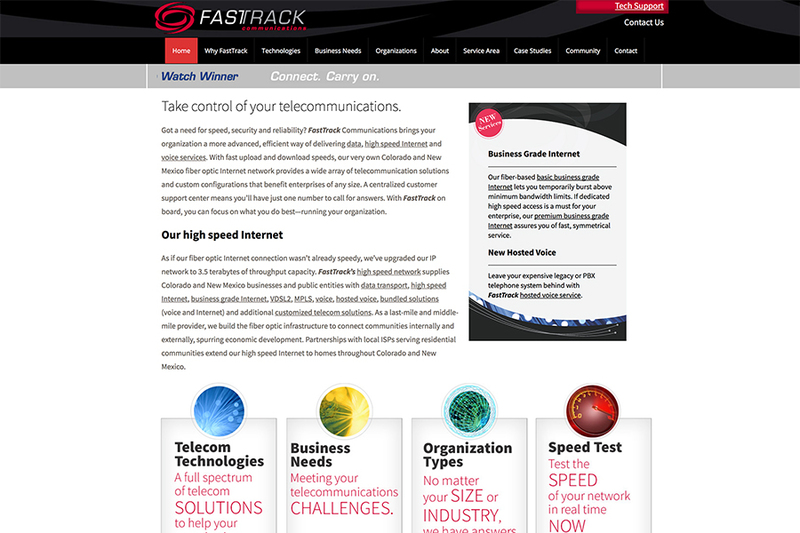 Athena designed FastTrack’s logo over 10 years ago and has enjoyed a long-term relationship with the region’s only fiber optic provider. 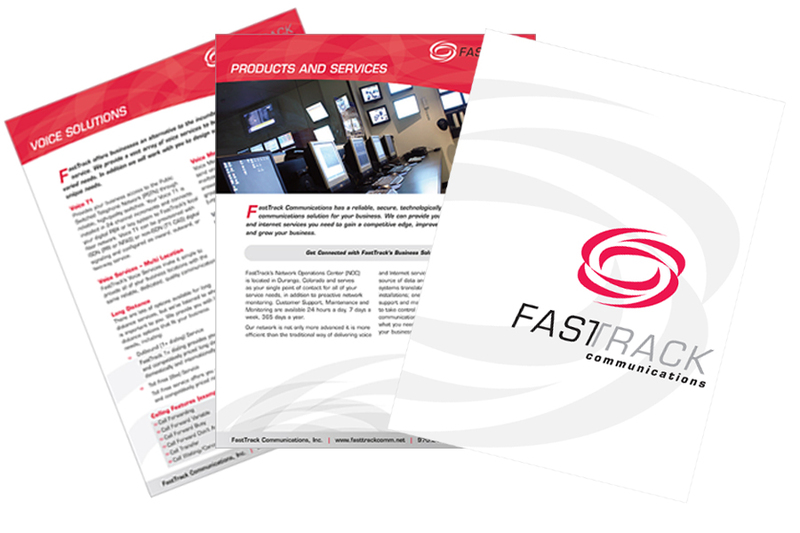 Athena produced FastTrack’s first and second generation websites and is currently working on a marketing initiative to expand the site and its functionality. 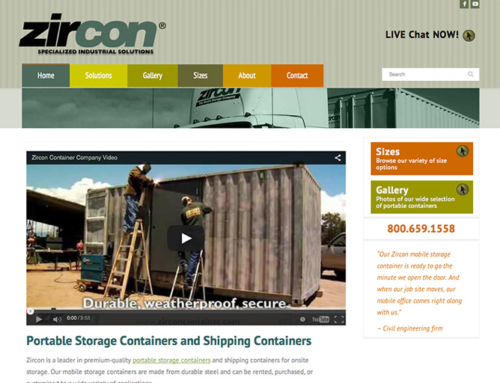 Athena directs ongoing content updates, Google Analytics management and keyword tracking. 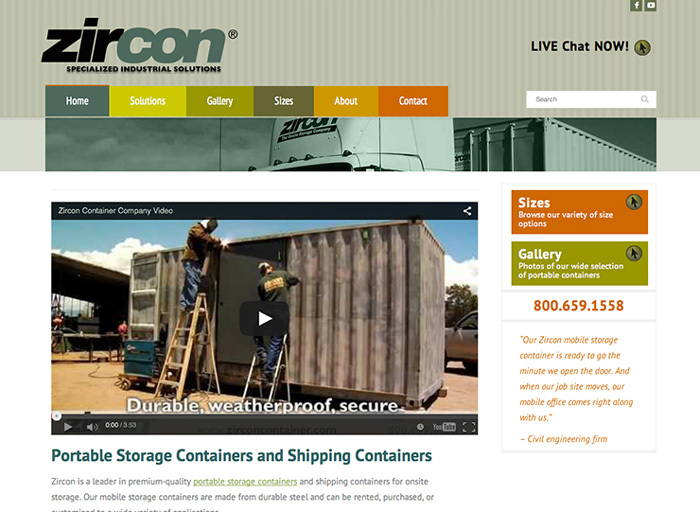 We have also created strategic advertisements, presentations and sales materials. 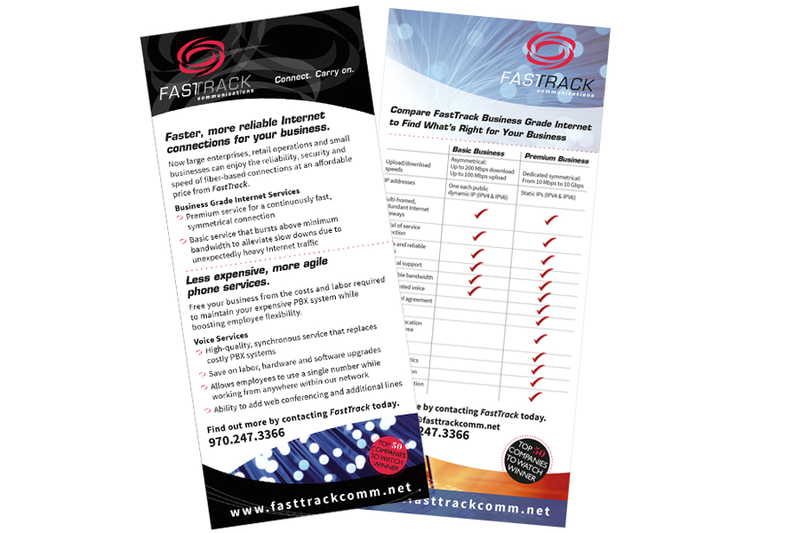 As FastTrack has grown, Athena continues to support the company with strategic marketing plans, sales strategies and communications materials.